All you need for the journey..
Don’t compromise style for sustainability. The Trek Bag offers unmatched comfort, durability, and ample space for all of the journey’s supplies. 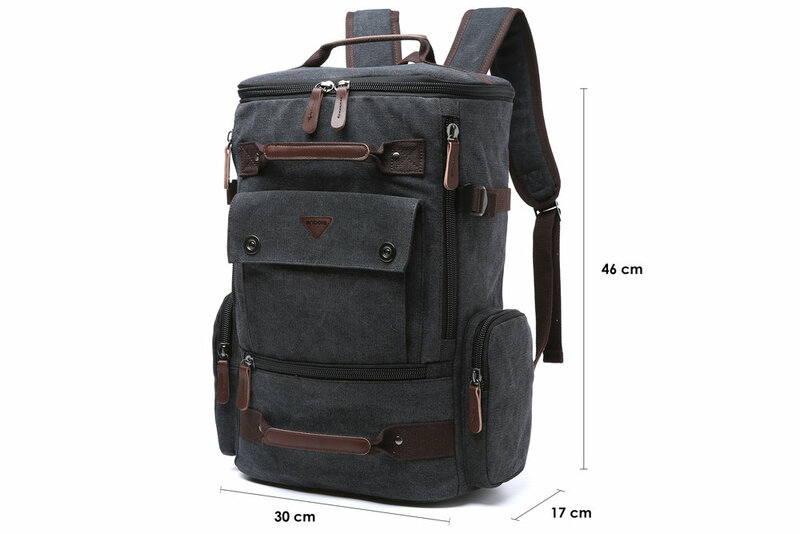 Multiple easy access zip and buckle compartments make the Trek Bag ideal for travelers, back packers and hikers. Whether you’re heading on the road or up your first mountain, you don’t want to be without the Trek Bag. Available in two different Canvas colors, Desert Brown or Charcoal Black.